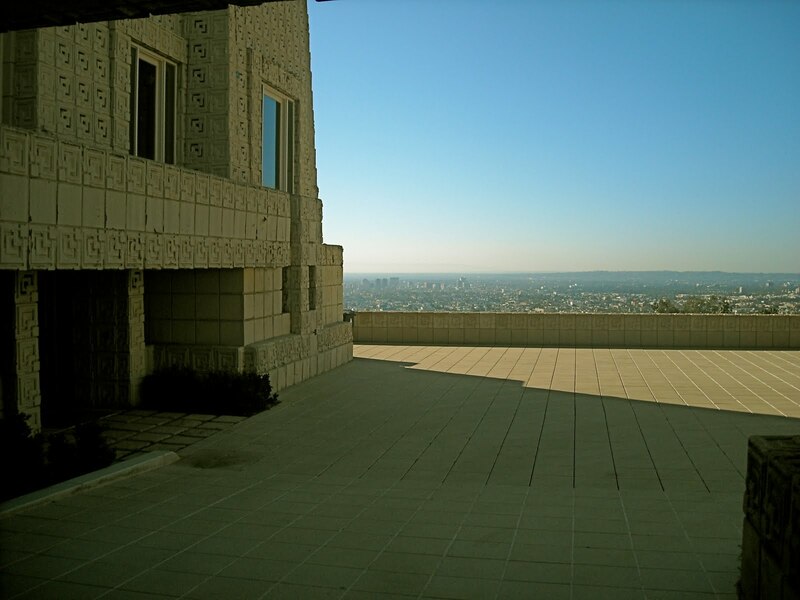 The City of Los Angeles, Department of Cultural Affairs (DCA) holds reigns over programming in Barnsdall Gallery Theatre and the Los Angeles Municipal Art Gallery. The public can rent the theatre to curate our own performances, while the city curates the gallery shows with a focus on mid-career artists based in Southern California. 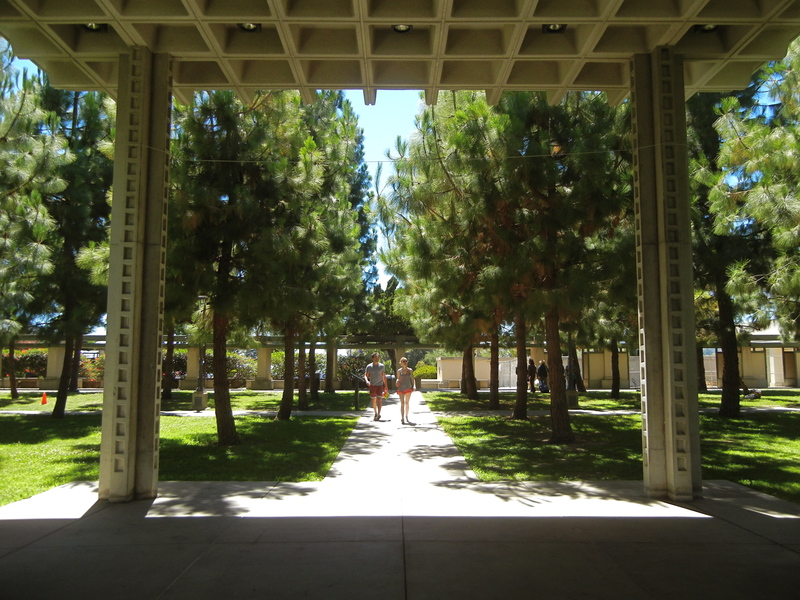 The DCA is not alone in gallery management; the Los Angeles Municipal Art Gallery Associates is a non-profit that helps with exhibitions, publications, and educational programs. In addition, current exhibits like “MADE IN LA” have curatorial assistance from LAXART and the Hammer Museum. Since these latter organizations are more a one-off deal, we won’t count them. We’re at 2. There’s the Barnsdall Art Center, which provides art classes for adults through the Barnsdall Art Center Student Advisory Committee (BACSAC). The Friends of the Junior Arts Center provides art classes for the youth. We’re at 4. 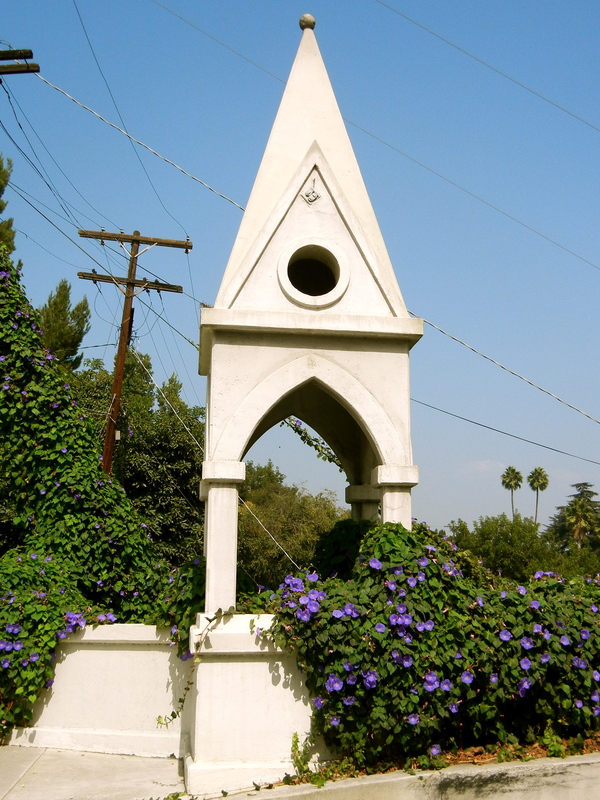 We can’t forget about the park’s anchor, the Hollyhock House. The house was Frank Lloyd Wright’s first Los Angeles project, and it sits atop Olive Hill with humility as it attracts attention from historians and tourists alike. 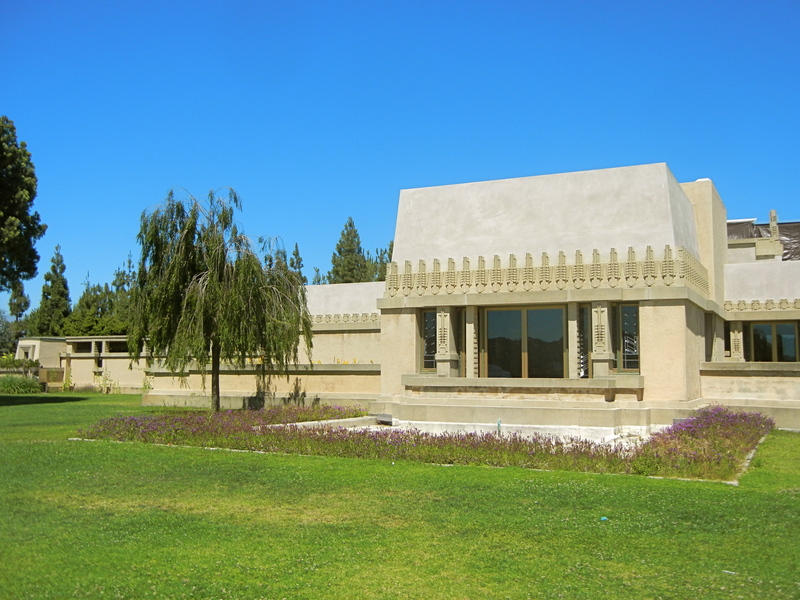 It’s basic operations are assisted by the Friends of the Hollyhock House, but the current restoration project is primarily being funded with the assistance of Project Restore, a non-profit devoted to preserving architecture of cultural fabric. Now we’re at 6. 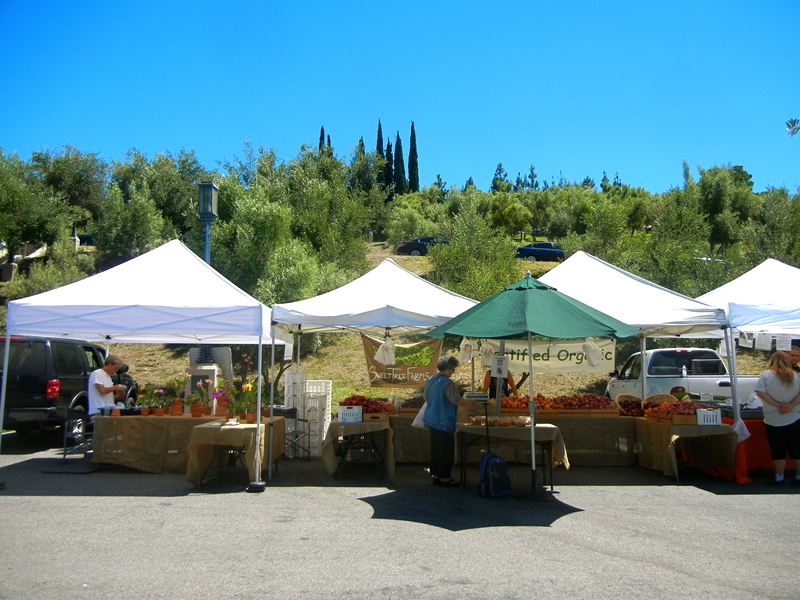 The Wednesday farmers market is produced by Sustainable Economic Enterprises of Los Angeles (SEE-LA), the same non-profit that runs the Hollywood Farmer’s Market. 7. There’s the overarching Barnsdall Art Park Foundation, a general advocacy organization trying to streamline all the efforts of the organizations listed above. 8. 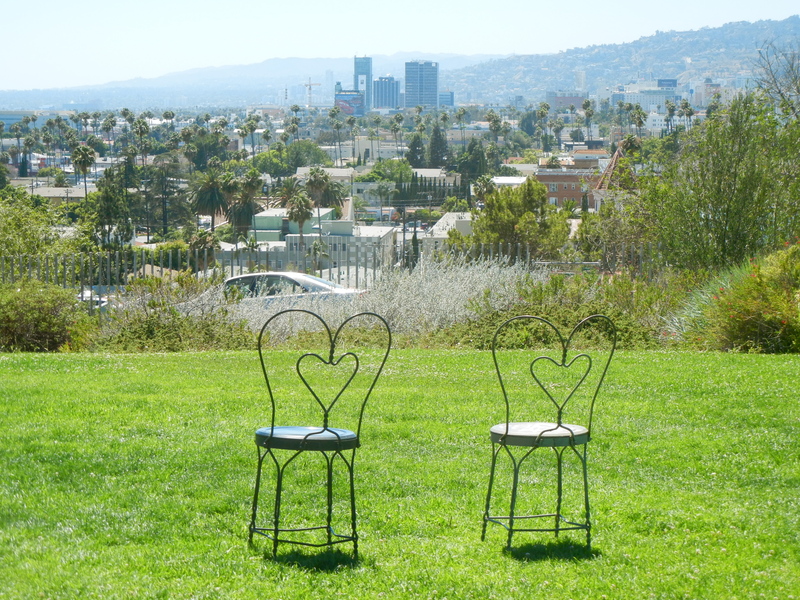 Finally, since this whole hill is a city park, we shan’t leave out LA Department of Parks and Recreation. So, folks, I count 9 public organizations. That’s almost 1 per acre. No wonder this park has so much to offer. The sonnet quoted on the dedication sign for the Shakespeare Bridge Garden reads,“…So long lives this, and this give life to thee.” One can only assume this quote is a testament to the Franklin Village neighborhood’s insistence on bridge preservation. 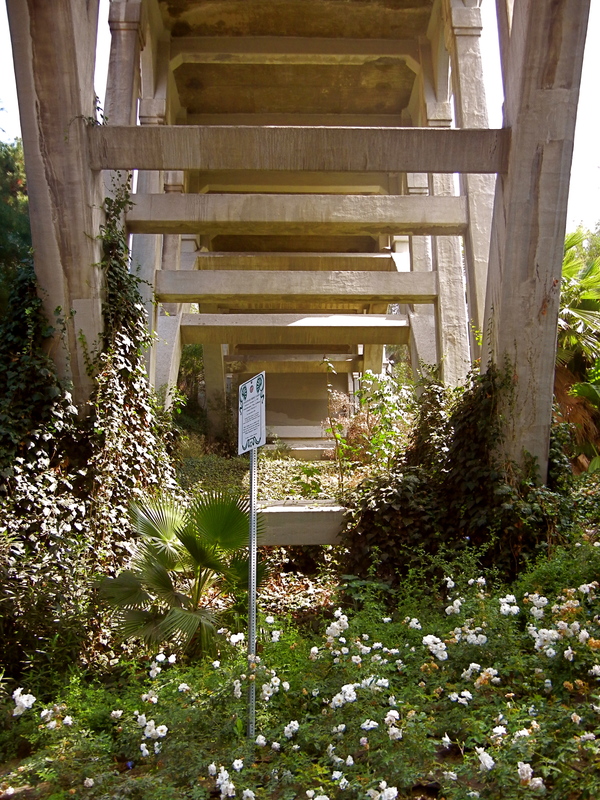 After all, they did spend $1.5 million on retrofitting the bridge after the ’94 quake. 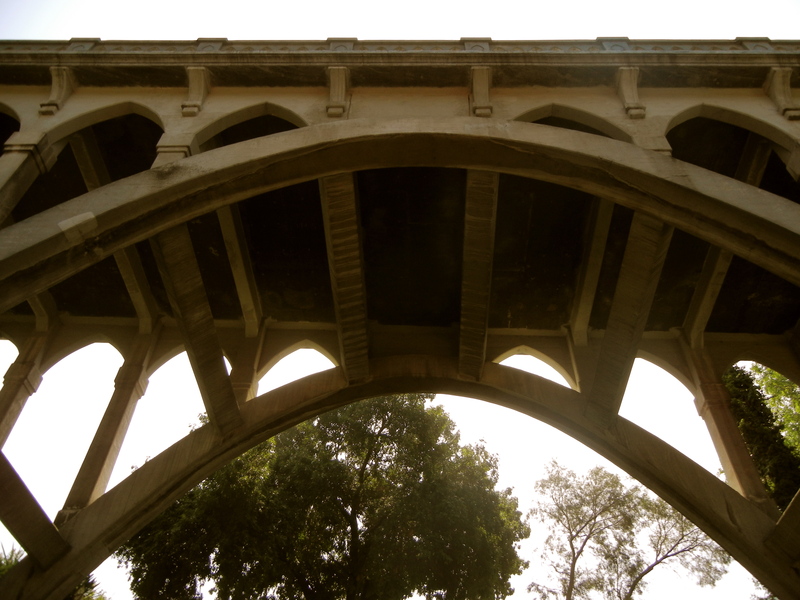 It was built in 1926, coinciding with the decade of our monumental LA River bridges. 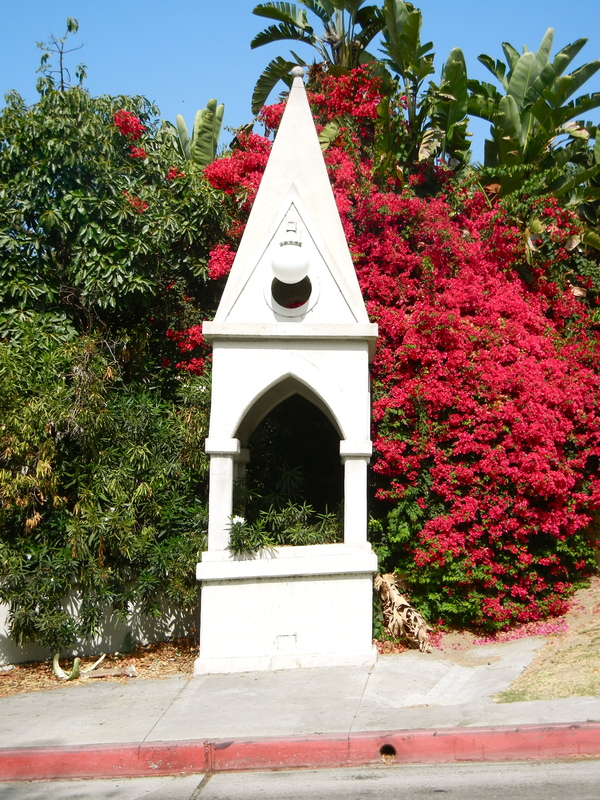 In a similar decorative vein, this bridge is known for its mini tower-like structures we call “aedicules.” But, an aedicule is a small shrine and though I looked, I found no small alters inside. 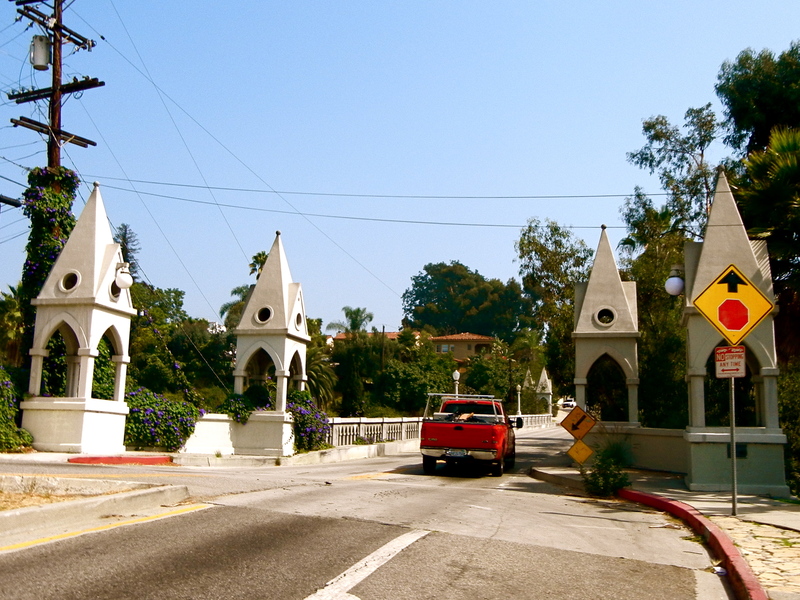 That’s not the only misnomer going on here; this bridge is actually named “Franklin Avenue Bridge.” I don’t know how or when it became familiarly known as “The Shakespeare Bridge,” but I can certainly see Puck prancing to and fro over the ravine. 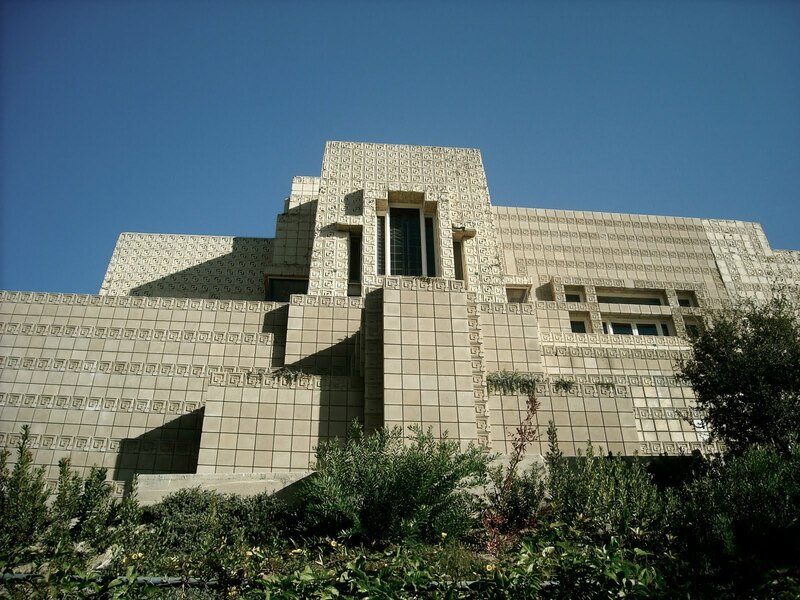 Frank Lloyd Wright’s largest textile block home in Los Angeles was “finished” in 1924. But, due to a number of structural damages, the house still requires an estimated $10 million in repairs. A small non-profit tried to restore the house. Unfortunately, their pocket was also small and the house was put up for sale for private ownership at a mere $15 million in 2009. It sold on July 11, 2011 for $4.5 million. What a steal!